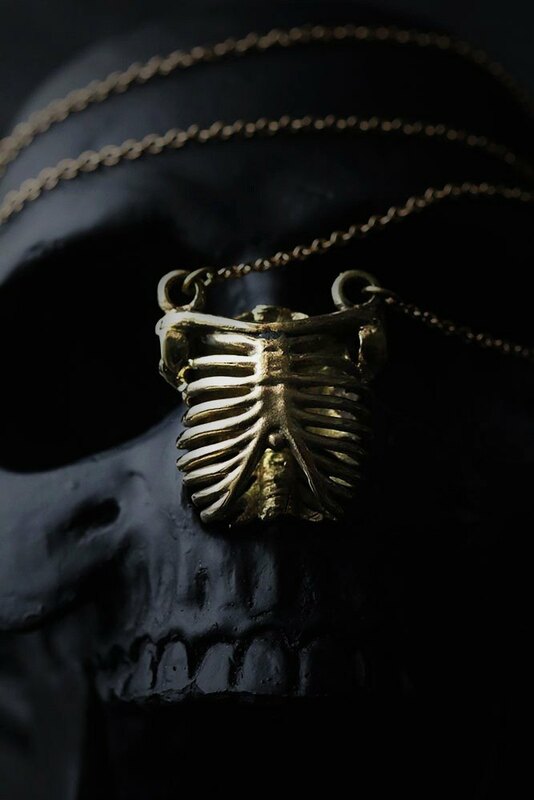 Human Rib Cage Charm Necklace by Defy - Brass Pendant Necklace - Statement Jewelry. **Unique Human Rib Cage Charm Necklace - Original Design and Made by Defy**Another cool item in our Human Anatomy Collection. The pendant is made of brass material with gold-plated chain. Product info; - The Human Rb Cage Dimensions are: approx. 2.7 x 2.9 x 1.2 cm. - Necklace chain length: please choose our length options. - Material: brass (nickel free). - Claw Clasp ************Shipping to World Wide*************. - Please allow us to prepare the item and parcel between 1-3 working days. - All items will be sent by Thai Registered Airmail. The delivery usually takes about 10 - 15 working days for parcel to arrive in most countries. - Your item will come with our gift bag *** supply goods / products to Thailand.